We have been extremely busy this winter/spring training in the UK, Nepal and Prague. We have employed another Tutor, however we still have availability for other Tutors to join our team. Potential Tutors need to hold a professional qualification in a subject relevant to the courses we provide. So, HCPC Paramedic, Doctor, Consultant, Rescue Team Medic to name a few. They also need to have relevant experience in the outdoors for the subject area they wish to teach in and a teaching qualification. Applicants are invited for interview and successful applicants also go through our Tutor training programme. Our waterproof books are now for sale and we also have great value Duke of Edinburgh Award first aid kits which include burn dressings to comply with the guidelines. We also sell first aid kits for Mountain Leaders, Expedition Leaders, Canoeists and Cave Leaders. You will be able to find these all on our new website which is due soon. Course members can currently buy discounted first aid supplies on our courses. 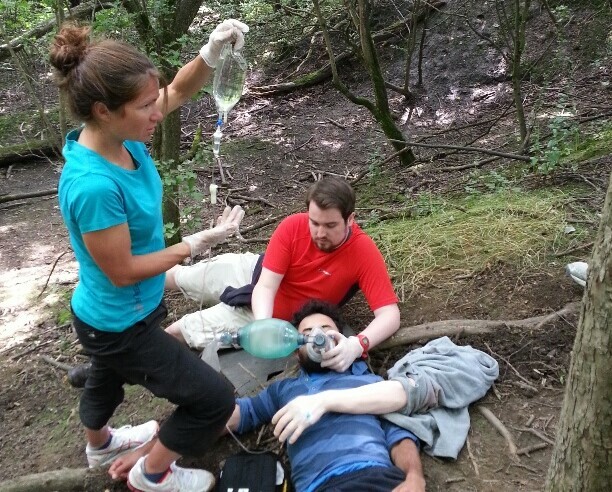 We have increased availability on our Wilderness First Aid Expedition Leader courses due to demand. These courses will be running every month throughout the year. This entry was posted in Announcement, mountain first aid courses, News, Wilderness First Aid. Bookmark the permalink.